A promotional poster of the Tejas - BrahMos NG combo, similar to what displayed in LIMA 2019 exhibition in Malaysia. Photo c/o Financial Express. India will be bringing in their Tejas Mk.1 light combat aircraft made by Hindustan Aerospace Ltd. to the upcoming Langkawi International Maritime & Aerospace Exhibition (LIMA) 2019. This is to strengthen its offer to meet the Royal Malaysian Air Force (RMAF) requirement for Light Combat Aircraft, which is expected to be for 12 new aircraft. At the same time, India has offered to supply the Brahmos NG air-launched anti-ship cruise missile designed for use for the Tejas and other fighter aircraft. Brahmos NG is smaller than the standard Brahmos A supersonic missile, which can only be carried by large fighters like India's Sukhoi Su-30MKI fleet. 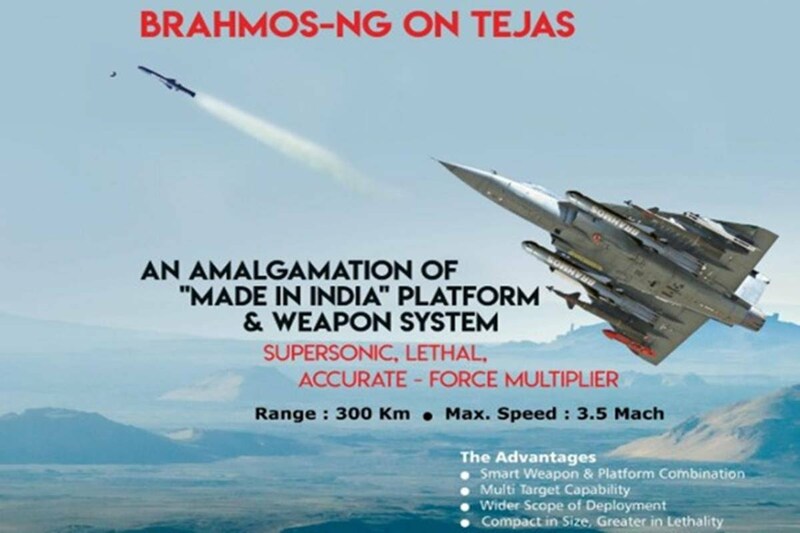 The Tejas Mk.1 can carry two of the new Brahmos NG missiles.